Two decades have passed since McCormick Distilling Company, headquartered in the lush, rolling hills of Weston, MO, offered public tours. Three have passed since it distilled real Missouri bourbon. Both are due to change May 2016 as the historic distillery marks its 160th anniversary with tours, bourbon and a new company name—Holladay Distillery – Home of McCormick Distilling Company— that honors its roots. 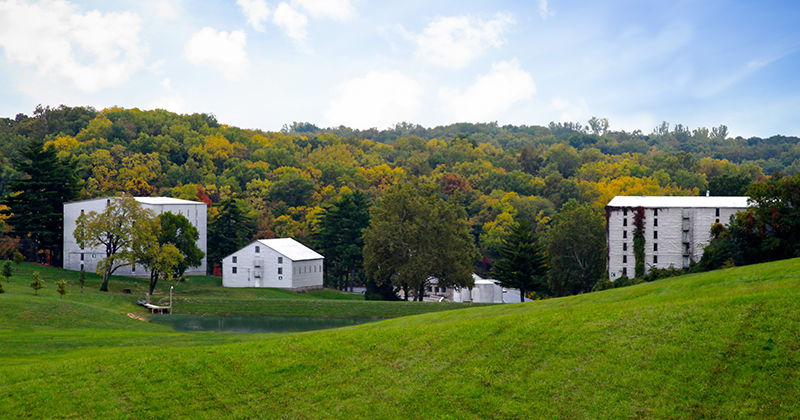 Founded in 1856 by Ben Holladay, Kentucky businessman and famed “Stagecoach King,” Holladay Distillery (then Blue Springs Distillery) was located on the site of a limestone spring originally discovered by Lewis and Clark on their 1804 expedition. The natural limestone springs contributed exceptional flavor to the whiskey. Holladay’s brother, Major David Holladay, later took over as owner of the business. In 1894 the Shawhan family assumed ownership and gave the distillery their family name. By the 1930s, another group of brothers, the Singers, purchased the business and renamed it Old Weston Distillery. They bought the McCormick brand name in 1942 and retitled the distillery accordingly. The original site of the distillery was added to the National Register of Historic Places in 1976, marking 120 years of operation. Though the distillery has changed hands many times during its impressive history, it only stopped crafting traditional spirits during Prohibition. Today, the company produces a wide portfolio of premium products, as well as an upcoming bourbon brand. The distillery bottles 30,000 cases daily, while two original warehouses on the property stand with the capacity to hold up to 22,000 barrels for aging whiskey. A new welcome center recently opened inside a brick house near the distillery entrance. Hands-on, interactive tours are available Monday through Sunday. They begin with a brief historical video shown inside the “Ancient Cave,” a hand-dug space constructed in the mid-1800s, and built with hand-laid stone. A 15-foot wide and 35-foot deep limestone cistern lies nearby, filled with natural spring water. The still house is the next stop. Here, grains purchased from within a 90-mile radius cook separately, for eight hours, before they are combined. The company says this makes better whiskey. 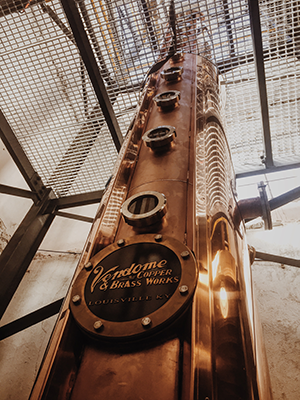 Guests view three fermenting tanks that are used consecutively before the product enters the gleaming Kentucky-built copper still. 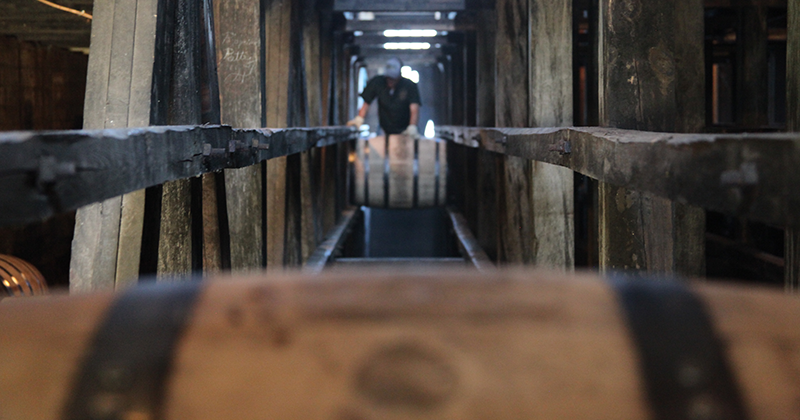 Tours continue at one of the barrel warehouses where visitors can see the inside of a cut, used barrel and learn about the evaporation that occurs before bottling takes place. Large windows provide a quick look at the distillery’s multi-faceted bottling operations. And, in proper Weston hospitality, tastings end each tour. Holladay Distillery’s 360 Vodka is the planet’s first “eco-friendly brand,” while the company recently acquired Broker’s Gin, a U.K. company that produces London dry gin. Meanwhile, the Tequila Rose brand just turned 21. The company also sells Irish cream liqueur, moonshine, spiced rum and more. 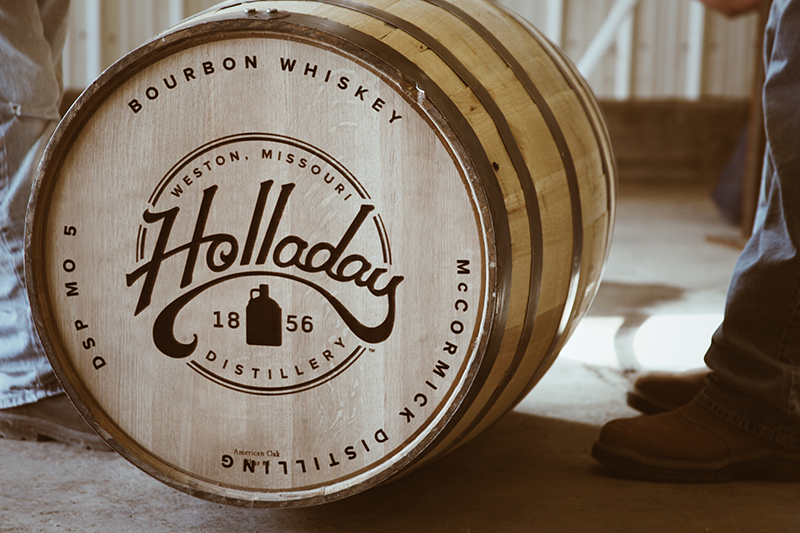 Holladay Distillery – Home of McCormick Distilling Company offers a taste of history shaped by local limestone and deep roots in northwest Missouri. Schedule a one-hour tour at 1 McCormick Lane, Weston, MO, 816-640-3056. Admission is $10 for visitors over 12; all guests must be at least five years old.